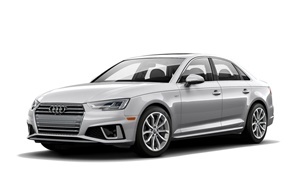 Why the 2003 Audi A4? Really feels luxurious and solid. Excellent seat comfort for me. This is a high-maintenance car. I've got quotes for the next scheduled maintenance, and I'm grateful I only put 7000 miles a year on it. Yes, it burns fuel when you drive aggressively. It's a low MPG car, but you can squeeze decent performance out of it. I average 20 MP in the city and up to 31 MPG on the freeway. More if I use premium. Why Not the 2003 Audi A4? Let's be real. The center console is strange. The flip up arm rest-container in the middle is just plain weird. You get used to it, but you never love it. Yup, it does not get great mileage. But if your choice is go nowhere in the snow, or go somewhere, and have FUN going while you get low MPG, buy this car. It's a blast in the snow. Rear wheel ABS sensor is out, so I have to get it repaired befgore I have ABS again. What?!!?! CEL is on a lot! Then it goes off. Never mind. I love the handling, don't mind the mileage. It's the most luxury I could afford, and it feels like status. Call me shallow. I love the car, and the feeling I get while driving it. It's a classic look, people think it's brand new even though it's 10 years old.